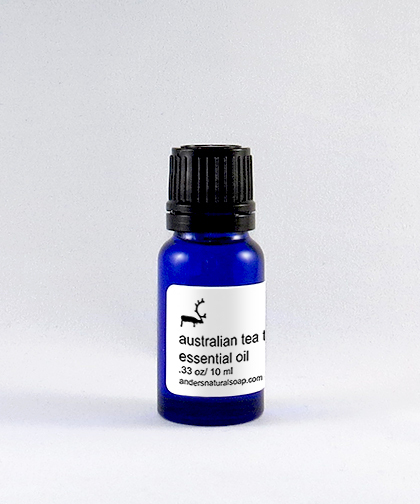 AUSTRALIAN TEA TREE: Tea Tree essential oil is steam distilled from the leaves of the Tea Tree plant, also known as Melaleuca. This oil is known for its antimicrobial properties. Tea Tree is naturally astringent and is excellent for acne prone skin. Tea Tree is the most medicinal essential oil that we use in our products. Tea Tree essential oil is steam distilled from the leaves of the Tea Tree plant, also known as Melaleuca. This oil is known for its antimicrobial properties. Tea Tree is naturally astringent and is excellent for acne prone skin. Tea Tree is the most medicinal essential oil that we use in our products.